At one level, it is good to see the Republican Senate leadership finally express clear positions on the financial industry and what we need in order to make it safer. At another level, what they are proposing is downright scary. Do not be misled by this statement. Senator McConnell’s preferred approach is not to break up big banks; it’s to change nothing now and simply promise to let them fail in the future. This proposal is dangerous, irresponsible, and makes no sense. The bankruptcy process simply cannot handle the failure of large complex global financial institutions – without causing the kind of worldwide panic that followed the collapse of Lehman and the rescue/resolution of AIG. This is exactly the lesson of September 2008. If a huge financial institution were to reach the brink of bankruptcy, the choice again would be: collapse (for the world economy) or rescue (of the very bankers and creditors who are responsible for the mess). The point of the reforms now before us is to remove that choice, as far as possible, from the immediate future. There is only one plausible way to ensure banks that are currently “too big to fail” can actually fail: Make them substantially smaller. This is necessary but not sufficient for financial stability – a point we make most forcefully in 13 Bankers, where we support a whole range of complementary measures (including more capital, very tight regulation of derivatives, and tough consumer protection), as well as a broader approach to breaking the political power of these banks. The hard size cap proposed – although somewhat vaguely specified – in this part of the Volcker Rule should be applied and tightened considerably in the Dodd bill now approaching the Senate floor. You can do this with the Brown amendment, a version of which we should expect to see on the Senate floor. Or you may prefer the approach of the Kanjorski amendment, which is already included in the House legislation. Our position is that the Democrats should propose – and the White House should support the strongest versions possible, with low and hard size caps on banks. Force the Republicans to defend explicitly our biggest banks and how they operate – as Senator McConnell now appears willing to do. Take that to the polls in November. You cannot responsibly propose what Senator McConnell is now putting forward: Do nothing and later on we will be tough – despite the fact that, at the key moment of decision, the consequences of being tough on a failed global megabank (and its creditors) would be catastrophic. This is the true road to disaster. This entry was posted in Commentary and tagged Senator McConnell. Bookmark the permalink. This is probably the most important sentence in this piece. In this case, the only phrase he found that tested positively was “no more bailouts.” So, that is what McConnell is running with. I think the antidote to that–the phrase that ruins the spin–is the word you used: “promises.” It would be very easy to frame the debate as “hard rules” (i.e., regulation) versus “empty promises.” It’s an easy way to leave Luntz’s formulation in tatters, and has the side benefit of being true. Of course, Democrats don’t have a great track record of doing easy things. 99% of what Mr. McConnell says can be explained by his role as the “bag man” for the Republican Party. A bunch of Big Banks failing would be Walter Bagehot’s worst nightmare. The second misgiving, which many calm observers more and more feel as to our largest joint stock banks, fastens itself on their government. Is that government sufficient to lend well and keep safe so many millions? There is no more unsafe government for a bank than that of an eager and active manager, subject only to the supervision of a numerous board of directors, even though that board be excellent, for the manager may easily glide into dangerous and insecure transactions, nor can the board effectually check him. I’ve taken to calling this new view on banking in the US as THE BIG SCHOOL, in contrast to, say, the Banking, or Currency schools. BIG SCHOOL means big problems. More on my blog, if you are so inclined. As Paul Krugman points out, McTurtle’s ‘policy’ is no policy at all, since what it means is to impose no regulation now, and then when the gambling institutions fail again, they’ll bail them out once more, again without any legal foundation from which they may be seized. As ever, privatize the profits, socialize the losses. The conservative way. Yeah, the Reps are the “party of No” alright. Not even the indirect lie of the “resolution authority” scam, but just the direct lie “next time we’ll let them go bankrupt”. A direct lie is actually more honest, since its stupidity is so evident that they can’t possibly expect anyone to fall for it. Republicans aren’t trying to come up with good policy, they’re trying to win. I follow political news every day hoping some reporter will expose this. Until that happens, I’ll have to continue to watch David Gregory ask some Republican political strategist “expert guest” why he thinks the Democrats are having a tough time. Sen. McConnell had a chance to follow his own advice in October of 2008. 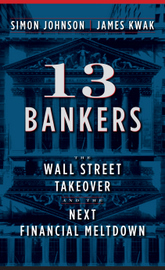 He chose the opposite course – to rescue the banks (and the financial system), the prudent course. It’s a shame, but not a surprise, that he would be such a hypocrite now. I’m a “Democrat”..I favor what the Republicans are saying..maybe for the first time ever..
What your article “Leaves Out”..is..well..basically..the “Whole Story”..because not only are they going TO “Fails” again..and soon…but the “Panic” is a forgone conclusion..and for once..the Repubs..have a basic real-world solution…a “Punitive” measure that say’s..”let me fail”..
Look..bottom line is this: If the ‘banks’ are allowed to continue to do as they please..and again..what your leaving out is…massive..the “rule changes’ to “mark to market” by the FASB..and “Quantitative Easing” and on and on..the “Scams”..”Cons”..”Grifters”..will simply continue. Its not that simple…and for once..the Republicans are on to something. In the final analysis though…its the “Reality” that most Real “Citizens”..WANT! Sure..Corporate ‘Citizens’ don’t want anything to change…but if the Repubs come out with a “law” that say’s clearly and unequivocally…”No More Bailouts No Matter What!” Well…they’re gonna Win! Period! Thus..when discussing ‘The Banks’…one can no longer assume that they have any intention..at all…of keeping the economy solvent..because tey could care less…”Reform”..frankly…is NOT Possible! Period! I offer this with honest hope for a response from Prof. Johnson. I’ve carefully listened to and read Prof. Johnson’s ideas on the financial system (though not yet 13 Bankers), as well as Sen. Kaufman’s forceful speeches. They seem like very credible arguments, but my concern is it seems from my limited (and admittedly non-expert) vantage point rather like a soothsayer calling out from the crowd, “Beware the Ides of March.” That is, I have not heard credible attempts by the power brokers to rebut these arguments or explain why they, esp. limiting the size of large financial institutions, are wrong. I assume this may be partly due to their fears of a political backlash from the banking industry. So what is left seems like a few capable people seemingly doing everything they can to spread a message on the imperative of stronger reforms, but having little discernible impact (to me at least) on the shape of the debate. My simple questions are, are these perceptions accurate and, if so, what if anything does Prof. Johnson think could help amplify his arguments, so hopefully they could become part of the debate. At a superficial level, it seems a little reminiscent of the public option or single payer in health care, but in this distinct context, what I understand Prof. Johnson to be saying, and credibly, is that without size limitations and related reforms, the complexity and cross-border dimensions of large financial systems practically determines the need for future bailouts. So it doesn’t sound like so much like a progressive’s wish list like with single payer, but rather a policy imperative to avert an economic disaster. I assume other experts may disagree on the merits, but that is a debate I would really like to see happen well before any final vote on the reforms. To be completely honest, it’s not what he is proposing that is the scary point for me, albeit a frightening prospect. The truth of the matter, and what scares me the most, is that these are the people representing large swaths of Americans. I just don’t understand how some of these representatives can stand up there, as McConnell is doing and claim that the best solution is to just let them fail. I know he is not an idiot, I don’t beleive that, but I do beleive there are a lot of lies he has to tell himself everyday to get up there and say these things with such conviction. He watched as our country came apart at the seams a year and a half ago, and he still thinks that we can do things exactly as we were doing them. The level of self deception and intentional ignorance is pathetic and disgusting. I’m all for there being two (or MORE) sides to an argument, but these republican leaders are offering little more than vacuous opposition to legitimate problems. It is truly dispicable and I hope they are replace (even by other republicans) with people who genuinely care about the people they are representing. I’ll climb down from my soap box now. Break up the banks!! When I worked for Fleet Bank in New England we bought and “consolidated” (code for eliminated hundreds of jobs and customers for IT hardware and software providers) many smaller banks. When Fleet was finally bought by Bank of America, Fleet was the tenth largest bank in the country. How did that or any “consolidation” benefit any one except the CEO who got $35 million (the stock price didn’t even increase). Breaking up the banks would result in the creation of new data centers, call centers and hundreds of good paying jobs to support the new banks systems as well as the sale of millions of dollars worth of hardware and software. Oh yeah…It would also provide a little competition in the banking industry. How could any one be against that? Go for it!!! If you have any links to substantiate your claims about Krugman, I’d love to see them. Wow, that is like saying we will let you build that orphanage with tons of fire hazards but if it catches fire we will not put that fire out, regardless of how many children burn to death so as to teach you a lesson. How about if we build the orphanage up to code so that there is little chance it will burn, ok? What Senator McConnell really wants, as per instructions from Wall Street, is to prevent that any regulation be implemented. When they bring the economy down again, they will count on the short memory of the people, on the laws of the “To Big To Fail Act”, and the session in Senate where they can admit guilty, apologize, and receive the penance, wich is: contribution for my reelection fund. McConnell is right on track! Let’s see; when was the last time he was RIGHT??? Oops, sorry about that: a question with no correct answer! The small investor is the one who will shoulder the burden of letting a bank fail not the board or managers responsible for taking the risks with other peoples money. What need to be done is make those responsible for taking the risk which caused the loss responsible not the investor. You haven’t read anything Krugman has written, have you? In theory I agree with you. However, pragmatically, I think it is the difference between them failing in a traumatic way verses one that does not have monumental ripple effects. If we can get a bill that is sensible (not holding my breath) but if we can, regulating them seems to be the better option. If we just let them fail, the domino effect may be more than we bargained for? Companies wont be able to make payroll, people wont have access to credit, the damage would be a bite we could probably not swallow. what’s with all the … and ” ” every other word? Why do “banks” and “citizens” need to be in quotes. It makes absolutely no sense, just like your overall point if there is one. Please run this by someone that’s not crazy next time for a little help with editing. I’m just saying. I would just say to Joey and ectoendomezo and anyone else that it’s very easy to feel disillusioned, but one simple thing our President has helped me to believe is ordinary people can shape our political system if we are willing to learn and use our voices. What the bankers depend on is ordinary people will not pay attention, try to understand or ask tough questions. In that scenario, Mitch McConnell and many others like him know very well who butters their bread and will vote accordingly. But if people show interest in the debate and work to understand it, it will get in the politicians’ heads. Notice how conservatives often struggle when the public is engaged in a serious debate. The insurance industry ran out of levers to pull, because they could not defend the rampant abuses among their members. That wrestling is how the system works best. The bankers would rather have people bored or disillusioned, so that’s all the more reason to do what they don’t want. When someone starts out with “I’m a Democrat” and then goes on an incoherent rant, chances are they 1) aren’t a Democrat and 2) are either Republican or a teabagger or both. Nice try, but I can´t help but noticing you didn´t provide any links. Should be easy since you imply anything Krugman has written would do. Surely you can give us all an example then? Frank Luntz and other Republican spinmeisters are adept at making the Republican alignment with Wall Street banking interests appealing to the masses. They deserve a lot of credit for being able to manipulate people so cleverly. The resolution authorities in the Dodd bill are much better than we have now and the $50 billion self-insurance fund (which I’m sure is part of the reason the banks don’t like the bill) is much better than another TARP emergency measure which is what McConnell’s (and the Republican strategists’) ideas will lead to. When will people finally figure out that the current batch of Republicans in Washington are not their friends? There seems to a policy of “Obfuscation” to not correctly cover immoral financial malfeasance by leaders of the corporations by the present legal code. Really, who has gone to jail as result of this crisis? I would really argue with the “Too Big to Fail” motto and say it should be “Too Complicated to Fail” in that these financial corporations are deeply entangled in the world economy to be removed by bankruptcy without taking the whole economic system with it. This is totally is totally unacceptable. I say, re-exacting Glass-Steagall Act based ‘The Volcker Rule’ would be a step in the right direction. years of late in American politics, for better and for worse,no ??? The Republican philosophy of hope and change is: change nothing, and hope for the best. The mindless promotion of obviously boneheaded “solutions” is now the hallmark of the Republican party. We can all hope that ideological constipation will do them in. heads of the Financial Stability Board. What I read yesterday and the post by Yves Smith on the connections between Rahm Emanuel and his main fundeers, Magnetar, makes me all the more suspicious..
And that’s the key point – no one, Democrat or Republican or Independent, will in the face of a financial crisis choose to let the system collapse. Nor should they. First, bank reform is possible. Just look at what happened in the 1930s. Don’t buy into the despair that’s being peddled out there. It won’t be easy, but it is possible. Second, bank reform is necessary. Most importantly, the largest banks have to be broken up. You see, the problem is that free markets break down when there are too few participants. The only way you can enjoy free markets is if nobody is indispensable. That’s how you get competition. We learned this lesson in the late 19th century when we passed the first antitrust laws, and we ignored the lesson starting about a century later. Third, what politicians say before a crisis and what they actually do in a crisis are two different things. Remember that it was a Republican administration that bailed out the banks in 2008. Faced with a similar crisis, any president– Republican, Democrat or Tea Party– would do the same. Fourth, McConnell’s proposal is what the banks want. The TBTF banks know that they’ll get bailed out whatever McConnell says today. I wouldn’t be surprised if McConnell has told the bankers exactly this. Fifth, if anybody views McConnell’s bank-sponsored proposal as being “tough on banks,” something has gone horribly wrong in the debate. When fact-free platitudes win over practical reality, there’s a massive amount of cognitive dissonance at play. A gasoline depot in the middle of a city catches fire. The government has two choices: 1) do their best to put out the fire 2)let it burn, and potentially burn the entire city down and kill a substantial fraction of innocent residents. Anyone who chooses 2 on the grounds of avoiding moral hazard or not interfering with private markets is a lunatic. I think what he/she is advocating is simply capitalism, which is interesting coming from someone who calls themselves a Democrat. Ayn Rand said: When I say “capitalism,” I mean a full, pure, uncontrolled, unregulated laissez-faire capitalism—with a separation of state and economics, in the same way and for the same reasons as the separation of state and church. Senator McConnell and his ilk, despite all their rhetoric, are nothing more than dangerous hypocrites. The current Democratic regime is nothing more than a statist movement that will undermine growth and individual freedom for decades to come, maybe longer, if the policies they enact are allowed to stand. Swiftboating regulatory reform. The new new Republican sport. Keep up the good work! Here’s a view from Asia. Your desired banking regulations is happening in Asia where the banking industry in Singapore and Hong Kong can be described by the banking mavericks in the U.S. as “boring” and “un-innovative”. That’s what we get from enforcing high capital adequacy ratios, and breaking up non-banking related services such as insurance, hedge funds and private equity so that the failure of one service (due to bad decisions) will not jeopardize the primary banking institution. Asian banks are not exactly the barnstorming, global sized institutions like what I’m seeing in the U.S. We’re not exactly immune from the global recession in Asia when the banking crisis went into overdrive in September 2008. I can still remember the chilling impact when Lehman Bros. collapsed and sent thousands of elderly folks lose almost 100% value of their CDS-secured notes which is financed by their lifetime savings because the notes distributor sold the Lehman Bros. notes as “guaranteed and will not fail”. It is so ironical that when a major institution like Lehman Bros. fails, there will be a worldwide impact. So, I share your frustration when your country’s lawmakers can make simplistic statements like “let the banks fail and only they should pay”. When you have financial institutions behaving like pseudo casinos, I don’t think the debt that they rack up can be repaid by their shareholders, thereby screwing all the creditors, and cause a cascading effect worldwide. Please lobby your lawmakers to do some good over there. Suffice to say, if the U.S. financial industry screws up, the world gets screwed too. McConnell’s free to offer this kind of irresponsible crap because he’s not in a position to actually implement anything he says. The upside for him and the GOP – he’s throwing red meat to the teabagger base. in their pocket! Some of our politicians actually cared about their country and it’s citizens! First, yes you’re right bank reform is possible, but not necessarily wise, at least not in the manner you insinuate. Look at the 30’s, many of the New Deal reform measures were struck down before the decade was out. How’s that Social Security program running these days? Still think it’ll be there when the baby boomers get through with it? Second, your assertion that the banks caused this mess all by themselves is, quite frankly, asinine. Government meddling in the free market is to blame. “Crony capitalism,” if you will. Monopolies could never exist if not for some form of collusion that involved a force that could keep other competitors from entering the marketplace. The only force that can do that is the government. To put it simply, if a company becomes large because it sells a superior product, is that wrong? Is it necessary to “break it up” simply because it’s successful? Get the government out of the game and acting in its proper role as a policing force and we’ll accomplish real reform. Third, you’re probably right about this, unfortunately, due to the complete lack of any philosophical foundation for anyone that subscribes to the idea of belonging to a party. Fourth, once again you’re probably right, because the precedent set by the previous and current administrations. Now if McConnell came out and started advocating a complete separation of economy and state, that would have them reforming themselves real quick, but alas he doesn’t have the spine to say that. Fifth, the cognitive dissonance at play here lies with your thinking that the government can solve a problem that the government itself creates/exacerbates. It’s not that we should be “tough on banks,” it’s that we really shouldn’t have anything to do with private banks and how/when/who they do business with. I’m sorry, I think the solutions proposed here do not go far enough. We need to go back to the pre-Clinton era days where banks were banks and just banks. Banks should not be allowed to broker in stocks. If a mortgage is taken out with a particular bank, it should stay with that bank, not be packaged and sold, after all, the homeowner made a deal with a single bank, the mortgage should stay there. So banks will not be able to make as much money as they do today? What a shame! My first thought was how McConnell can be so stupid. But what is even more obvious is that he isn’t, he just wants to get reelected. He understands that most Americans simply do not want to see the bankers walk away with all the money while the rest of us suffer the consequences of their actions (again). What I believe most or many Americans don’t realize is that McConnell’s nuclear option will accomplish the very same consequences; the bankers will walk away to their hideouts while the rest of the world suffers. The good news in McConnell’s statement is that he realizes that in order to get reelected he must frame the debate in those terms. The bad news is what McConnell is actually saying is that “Too Big to Fail” is not really too big to fail. What is hopeful is that there might actually be some debate in Congress as to what might happen to this county if McConnell’s proposal was law the next time TBTF fails. Maybe McConnell’s way of saying TBTF is not really too big to fail might actually backfire on him. Can someone please look up the proper usage of an ellipsis? Really? Rockefeller built his empire without the support of the government. Monopolies can be created without government intervention. You are right; the government did help get us into the current mess. We relaxed laws that had kept the country safe for 70 years for a belief that a bank’s ultimate goals were in line with the good of the average American. That was asinine. The current administration is attempting to buck this trend. It is important to note that republicans dominated congress after 1994, and the dems have not leveraged their recent majorities as efficiently as they could have…due to conservative minded factions within the party. There is a master plan with all this starting with president Reagan and that is to create a huge national debt to squeeze out the middle class and have the excuse to do away with human social programs. As the years past with each president to follow Mr. Reagan, they in turn gave Wall Street banks and financial institutions a “free” market to do as they please. What would we expect the final out come to be? David Gregory HAS NO BALLS TO GRIND THESE Republican political strategist “expert guest”. Banks and financial institutions did fail. Lots of them. The government started bailing only when they realized the whole economy was going under. As for the bankers, even those who lost their jobs, what do they care if their institutions failed. If you made 100 million bucks, you are set for life. With a 100 million, I could retire and spend my days buying up foreclosed homes with my wad of cash and rent back to the poor bastards who lost them in the crash. So the notion of doing nothing only allows the same crooks to make tons of money up front, not care about the future, and when things go to pieces, so what. If you got cash in a recession or depression you are even better off. Cheap labor, cheap property, cheap goods, and the chance to buy politicians on the cheap (see McConnell) Now thats living. The ‘links’ under the heading BRING BACK GLASS-STEGALL. Oh, and void every stinking Deriviative contract post 1999. Thanks, I’ll be here for probably 40 more years. Whoops, I apologize to Nissie. Speaking of cognitive dissonance, your second point reeks of it. If you believe that TBTF banks became TBTF only because of crony capitalism, how can you argue that the TBTF banks should be left alone because their success was actually due to offering a superior product? Those two assertions are mutually exclusive. One last question: should we eliminate the limited liability corporation, which would not exist but for the government? By the way, I understand where your position on monopolies comes from (e.g., I’ve read what Rothbard and Greenspan have said about it), but I believe it to be fundamentally flawed for a variety of reasons. It’s an argument that has been made to fit the ideology, not the facts (i.e., that argument itself arises from cognitive dissonance). Very Interesting. Why Mr McConnell did your Republican Party Government start bailing out instead of letting them all go bankrupt? Why have they spent so much of the tax payer’s money on the bail out. Is this because Republican Party governments are incompetent? Could you be another incompetent with your proposal not to bail out? In reading some of the comments, I get the sense that people blames Wall Street for the mess. I don”t. They never promised us a rosen garden. They are in business for profit. Their theme is “maximize profit”. Like any business, if they can sell you nothing or lots of money, they will. That is where the Government comes. They make laws that set the Rules of Engament. Every single activity in this planet, have rules. Try to live in the jungle without following the rules of the jungle, and see how long you will live. Games have rules, and referees to keep it playable. There is no such a thing as “Free Market” in the way that people understand it to be. You are free to use your best, following the rules of the game. That is where our government fails. Why was Maddof allowed to do what he did? Because the SEC was looking the other way, as per instructions. Why the banks where allowed to make 400K loans to people making minimum wage? Because the government was looking the other way. Those who complain about overregulation are sold out, or plain stupid. If I was one of the people who lost money with Maddof, I would sue the Government for failing to protect me, as investor, as it is supposed to do. Actually, I am very surprise that there is not a Class Action going on right now. Plenty, for years, which is how unlike a liberal teabagger like you I can see his 180 degree flip since Obama came in. That is, his flip back to his original neoliberal corporatist position under Clinton. As luck would have it, I just wrote a post about him today. 1. Big Finance interests: The banks themselves (and their top management) make billions from the fact that they are Too Big Too Fail. This is because they can gamble and keep the winnings, while passing losses on to taxpayers (a simplification, but this is what it boils down to). There are some very powerful people with some very big campaign contributions that are working against size caps. 2. Politics and the swing voter: The swing voter will not inform himself/herself sufficiently to understand this issue, and no politician has yet shown will AND ability to make the sell. * One alternative proposal is for banks to prepare “living wills”, i.e. that they always need to be able to explain how they would dismantle themselves. According to the proponents of this idea, this would make it possible to let them fail. Others think it is unrealistic that this would work in practice. * Another proposal is to avoid “hard” caps, and rather give a regulatory body (or several) powers to break up Too Big To Fail banks. The objection to this proposal (voiced e.g., by Alan Greenspan) is that the regulator would have small chances of succeeding due to the complexity of financial markets and the political challenges of being such a regulator. 4. Worries about the cost of breaking up big banks: The banks themselves claim that the existence of international megabanks is of big value to the economy. The argument is that megabanks can offer products that banks that banks that are merely huge cannot. Thus, limiting the size of banks limits financial innovation. This argument is also used to defend against plans to impose limits on banks’ risk taking, for instance in terms of raising their required financial solidity, prohibiting some combinations of trading activities, etc. An obvious thought: breaking up the TBTF banks is a no brainer because they already failed, they just weren’t allowed to suffer the consequences. Let’s stop pretending that they didn’t fail, and let’s make sure that nobody gets “TBTF” again. If banks are too big to fail, then taxpayers are assuming the risk. The big bank will fail, the government will bail them out, and the taxpayer will pay the cost. In the meantime, the bankers will take big risks and pay themselves big bonuses. I would prefer to see regulators increase the reserve requirements for big banks – the bigger the bank, the bigger the reserves (as a percentage of deposits) they must hold. Banks would find it in their best interest to split up to reduce the amount of capital they need. I also think they should set higher reserve requirements for riskier classes of assets. Trade in CDOs if they wish – the just need to keep a hell of a big amount of capital on hand to do it. But the biggest point is that the authority to do this is already on the books. It is up to the FDIC to set reserve requirements, and they have wide latitude to do so. So new laws are not needed – what is needed is better oversight on the part of Congress, and people paying better attention at the FDIC. Fannie and Freddie made $400K loans to people making the minimum wage because they were told to do so by Congress. Houses were going up in value, and poor people were kept out of the market. So our friends Barney Frank and Chris Dodd told Fannie and Freddie that they were REQUIRED to make sub-prime loans. There are some great videos on YouTube of Barney and Friends doing just this on camera. What I find appalling is that Barney then blamed Bush for the debacle after the loan bubble broke – and got away with it. Folks blamed Bush instead of Barney and Friends. Amazing. It seems as if we’ve all been conditioned to think in terms of individuals on the one hand and government on the other, never casting blame on the corporations that have captured the government and tell it what to do (or what not to do). “Pay no attention to the man behind the curtain.” It’s always the fault of the individuals who over-extended themselves, or the fault of the government for interfering with the operation of the “free market.” When individuals act as an agent of a corporation, it’s as if they disappear from the discussion. Personally, I am not interested in assigning blame for the mess. I am interested in preventing the mess from happening again. Breaking out of neoliberalism’s false “the individual v. government” dichotomy is a necessary first step to thwarting the new feudalism that neoliberalism seems to have been designed to create. (Neoliberalism is neither “neo” nor “liberalism;” discuss.) Life is more complicated than the “labor v. capital” and “the individual v. government” memes that have driven political and economic discourse since I’ve been alive. Banks have not (in general) held the mortgages they originate for more than 40 years. If you go to a bank and get a home loan, the bank resells the mortgage on the secondary market (usually to Freddie or Fannie) and retains the right to service the loan. You continue to get a mortgage statement from the same place, but you don’t realize that the bank is only servicing the loan on behalf of Freddie or Fannie. If loans could not be resold, the mortgage market would dry up. If you want to limit the banker’s activity, raise the reserve requirement. If the bank has to hold 10% or 20% in reserve instead of 3%, their profits would shrivel and they couldn’t do as many risky deals. You make a good point. We need to raise reserve requirements and split out risky trading from the rest of the bank. But to do that, we need regulators that can recognize a risky trade when they see one. We seem to be pretty short on that score. I grow very tired of people that resort to name-calling, partisan attacks. I prefer people that offer solutions, as bone-headed as they may seem, to those that engage in this sort of rhetoric. Discussing the merits of a subject instead of resorting to partisan insults – that’s a change that I believe in. Not possible. If you invest in a poorly run company, and it goes broke, you lose your money. Doesn’t matter if the company is a bank, provides services, or builds products – if they screw up, they fail. That is why you have to pay attention to your investments, and sell the ones that are poorly run. If you can do that, or don’t have the time, invest in something else. Red…sorry, I just can’t let this pass. The great trusts of the 18th century were the result of explicit government actions (public land leases & railroad subsidies), and implicit government inaction. Where did you study American history, Texas? 2) Reinstall Glass Stegall. The Big Boys would need to divorce themselves of brokerage activity and thus would not be able to market dishonest paper. The Fed is as guilty of wriong doing as the Big Banks. They’re a part of the scam. Red…my apologies, I meant to type “19th century” not “18th century”. This mistake can only be proof of the Microsoft cartel interfering with my communications portal. Rubbish! First the world has ran out of fiscal and public debt space to use the same life raft as before but also, even more importantly, there was and there are always many intermediate choices and alternatives to make bank shareholders and creditors pay for a much larger part of the costs… if there is the will. I love it—“ideological constipation”. Mind if I swipe that one and use it at a latter date?? If government meddling in free markets is to blame, how did it force the banks and hedge funds to produce opaque products, and get the rating agencies to provide bogus ratings? Did the government make mandatory the creation of liar loans? Did it make it mandatory that the securities be packaged in CDOs, which were split in tranches, and demand that CDSs be sold to protect against the default of the equity tranche? Did it dictate that the sponsor(s) of the CDOs could dictate the stuffing of the CDOs with the most toxic securities so that bets against the CDO would be sure winners? No. Market participants did all that. They took advantage of a lack of transparency and therefore, knowledge, and greed of the rating agencies in order to make a lot of money. And they created a lot of noise and “in crowd” glamour to obscure the crap they were selling. That is what caused the crisis. And free marketers are selling that crap. Isn’t that the idea? The so-called free-market goal is to corner the market, but then it is no longer free, is it? We need a government that is willing to protect us from this happening. The regulators told the banks… among other, that if they lent to borrowers or invested in securities that had a triple-A rating then they only needed 1.6 percent of capital but, if instead they lent to a small business or an entrepreneur then they must put up 8 percent. This opened up so much the appetite of the markets for triple-A rated so much so that the whole system relaxed its evaluation procedures because, come on, otherwise how are you going to come up with so much AAA in such a risky world? Maybe I’m not understanding you. Is it fair to summarize your argument as “the regulators created an incentive to fraudulently slap a triple-A rating on securities that didn’t deserve it; therefore, the regulators are to blame”? If so, isn’t there ALWAYS an incentive to engage in fraud? Getting something for nothing is a pretty strong motivator. Should we blame the government for all fraud? How does that work, exactly? First, you can’t always tell if you are investing in a company that is poorly run. See, for example, the TBTF banks. Only in hindsight can we see that they were clearly very poorly run. Second, a company’s stock price is not based simply on how well it is run. All sorts of exogenous factors can come into play. Oh, I’m sure the regulators can recognize a risky trade when they see one. They just choose to do nothing about it because it leads to great jobs on Wall Street when they’re done working for the government. The better move is to reduce the regulators’ discrection as much as possible. You can accomplish this in art by banning certain trades outright. Sorry, but you have your facts wrong. Neither Fannie nor Freddie actually make loans themselves. They are involved only in the secondary market. It is better to think of these GSEs as enablers for Wall Street’s excesses. That’s still a problem, though. Scott. Of course we should NOT blame the governments for all faults but, if they create such big incentives for the AAAs then they should know that, sooner or later, someone will supply not so authentic AAAs. If they are good regulators they should know things like that. Yes that is lunacy… but who has ever proposed that? “The outcome of this debate affects the economic security of every single American family. It’s too important that we get this right. We can’t afford to play politics on this one. Almost everything that any Republican says is a verbatim quote from the Frank Luntz talking points presented to their members of Congress. McConnell is only speaking the party line, immediately after meeting with the President and other members today, which is immediately following his trip to the New York hedge fund managers to glean political contributions based on a promise to foil any harmful regulation. We need a truth line at the bottom of the TV screen on every responsible network to show, as the pols speak, from whom they receive their money. Believe me, this would be damning to both parties. “Well, the issue isn’t really where the money is coming from. It’s not whether it comes from the taxpayer or not. It’s whether the government has a fund with which to bail out very large financial institutions. And the Dodd bill contains a $50 billion fund that is intended to do exactly that. So, what happens here is that, when creditors look at a very large financial institution, they will say, well, I’m much more likely to be repaid if there’s a $50 billion fund than if this thing has to go to bankruptcy. Of course he failed to mention that the 50 billion was not to be used to prop up a failing institution, but rather to allow for an orderly dissolution, in order to control losses. This is a part of the proposed Resolution Authority. Not that it is really sufficient. What I want to see is a mandate which prohibits bailouts of any business, financial or otherwise. This would, in effect, defeat most of the potential (although there are potential propup mechanisms that the FED might use. Of course the whole discourse is working in our direction because of the complete abhorrence that any further bailout has to the public. Wall Street in its present configuration cannot be allowed to exist. It’s like giving terrorists nuclear material to use. What regulator set the 1.6%? Just curious. What was the purpose? Did it achieve the purpose? If the not so bright chess player, faced with financial ruin if he can’t beat his arch enemy, is wiped out by the more cunning and experienced foe, is he at fault for losing the game? Would you castigate him? Or would you offer some platitude, like “At least, you tried.” Politicians will never match up well with the brightest boys in the room, even if they have integrity, and hiring the brightest for temporary stints doesn’t work out well since the brightests’ futures lay with the regulated. Still, government can’t just give up. It must try to promote and protect the common good. So you assume Wall Street is inhabited by parasites, and that is OK with you. I thought all corporation charters required they serve the public good. If not, then why do we create them? I don’t think it’s “conservative minded” so much as captured by the financial industry. We have a set of corporate oligarchs. They do attempt to compete with each other, but are more than happy to rip off customers. Not so. This is an erroneous spin to the history. Fannie and Freddie did buy some securities collateralized with bad subprime mortgages but that was almost at the end of it all… silly latecomers… and the crisis was not caused by that. That’s conspiracy theorist BS. The majority of these morons are so braindead that there’s no way they could organize and execute such a plan, much less keep it SECRET for 30 YEARS. Yes, we’ve spent 30 years in a Republican constructed debt bubble that has squeezed the hell out of the middle class. I’ve lived my entire life in that bubble. But to give credence to conspiracy theorist mumbo jumbo as the “master plan”? Please. It’s much more rational to see the whole thing as simply being an emergent behavior as a result of unchecked greed in the positions of power. Nothing more, nothing less. Right. It would be a lot better to have the workhouses, robber barons, child labor, and rampant poverty back. While we’re at it, privatize roads, water, police, fire fighters, and MILITARY most of all! Forget trying to balance the country between naked capitalism and completely restrictive socialism. Just read Atlas Shrugged as though it were gospel and bring on that unregulated paradise! Woo! Your current all gullible and naïve financial regulators, those in the US… and those in the Basel Committee and whose opinions you have agreed to follow… the Basel Accord 1998 and the go ahead on Basel II June 2004. And one of the problem we have is that most of those discussing the financial crisis have not even read about it… and from what I see that includes Simon Johnson or James Kwak. The sad part of the story though is that it could be that we just had the immense misfortune to land in the hands of a select group of monumentally inept financial regulators… and there were no one out there capable of telling them NO! Come to think of it… they still rule! John, Ayn Rand was a first class fool. Let’s see “full, pure, uncontrolled, unregulated laissez-faire capitalism” methinks that is pretty much what we’ve had in the financial sector and we now see where that has taken us. What about corporations who would engage in harmful practices, such as dumping wastes into waterways, etc. are they to be allowed to do that? Let’s us understand that corporations do not possess “morality.” They are money-making entities. They do not exist to “make jobs” as the silly Republicans claim, they do not exist to make communities better, they exist to make profits, period. They are neither evil nor good. The decisions made by the people who run these entities are decisions consistent with enhancing profitablity. Therefore, understanding and knowing this, the wider society by way of collective action (be it through government or other ways) must ensure that the decisions taken by corporations do not harm the wider society. Just look at our language, I refer to “decisions taken by corporations.” We treat it as something tangible. On a much more personal level, I can’t dump garbage around my house or take other actions that might make my life easier, cheaper, etc., but would directly affect my neighbors in a negative way. Corporations should not be allowed to do that either. Will Mr. Paulson comment on Mr. McConnell’s statement before the jig starts again? Is martial law Mr. McConnell’s desired endgame? Free speach is inhibited by hot air. Those are real interesting sites. But they just went on and on and on. And if I had the time to get a doctorate, afterwards, I might be able to piece the information together to find the answer to my question. Could you just possibly give a link to the regulation(s) setting the 1.6%? I’ve had enough people blow smoke at me that I’m not very trusting anymore. Your website put forth the main diabolical character’s name “Pavlov.” Didn’t a guy with that name establish that dogs will salivate at the sound of a bell if they have been conditioned to associate the bell with food? Someone with credibility needs to come back forcefully to these Republicans–and to the public that listens to them– that these banks HAVE ALREADY FAILED and are parasitic on the tax paying public. The task NOW is to break them up BECAUSE they already failed. You will find the tables in http://bit.ly/gNemy identified “Partial schematics of the AAA-bomb” which have been extracted from of the Basel II, First Pillar, Minimum Capital requirements. The Basel II document I refer to is here http://www.bis.org/publ/bcbs128b.pdf see pages 8 and 12 of the pdf, or page 19 and 23 of the document. Pavlov? We were conditioned to associate AAA’s with no risk! Isn’t that saying 35% for the MBS that are being blamed for the havoc? Maybe CDOs stuffed with MBS and given AAA ratings are not considered MBSs anymore? I am not sure we are looking at the same document because what you write sounds very Basel I to me and the 35% has to do with individual mortgages and not securities backed with mortgages. By the way the resulting capital requirement, in this case 2.8% comes from multiplying the basic capital requirement of 8 percent by the risk weight, here 35 percent. have another glass of cool-aid it will make your feel better. you cannot separate the bank from the other businesses. Banks can’t go into bankruptcy a quagmire. Eliminate the holding companies. Separate the the banks and let the holding companies fail. PS this has to be done before bankruptcy. Again, I wrote out against the too-big-to-fail and proposed a progressive tax on size when Paul Krugman and Simon Johnson were still in diapers, well almost, … and the current regulations have sure served as growth hormones for the big to turn into the too big to fail… with the added help of Tarps and alike of course. But, let us not forget the basic facts… this crisis was not, and I repeat NOT caused by the too big to fail… it was caused because a couple of trillions of dollars awarded in extremely stupid mortgages to the subprime sector, somehow managed to find their way to an AAA rating. And so, even without one single too big to fail bank we could still be having the same crisis, with possibly the only difference that the taxpayer would not have to foot the same costs… and I say “possibly” because that is far from certain. At the end of the day the fact is that the taxpayer is having to pay a much too high share for this crisis not because the too big to fail but because of the too bad regulators… and these lousy regulators are of course all extremely interested in that we take our eyes off the ball. The debate should not be among senators and congressmen, of various factions… the real debate should be between the regulators and us.